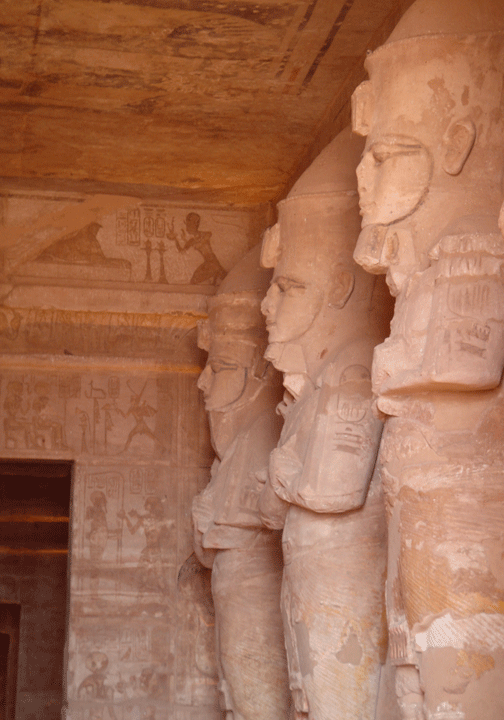 Upon entering the temple of Abu Simbel you find yourself in a hypostyle hall, it is lined with eight Osiris pillars. 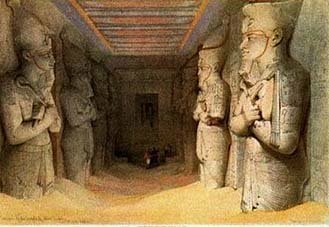 Each Osiris bears the carved likeness of Ramasses The Great. You can’t help but be in awe as you pass by these towers of majasty and prowess. Image above from a 19th Century lithograph by David Roberts. 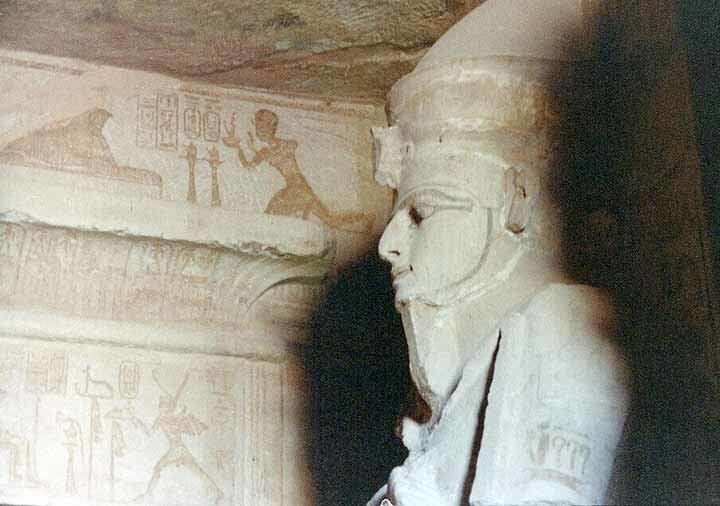 Wall Paintings of Ramesses II.